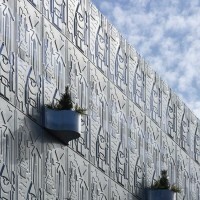 MEI Architecture designed a parking garage in Almere, The Netherlands, that has a facade of plants and panels featuring cultural images. 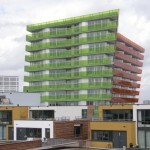 The development of Block 11, a garage with 413 parking spaces, is part of the expansion of the city centre of Almere-Buiten, characterized by a lot of green and a clear urban structure. 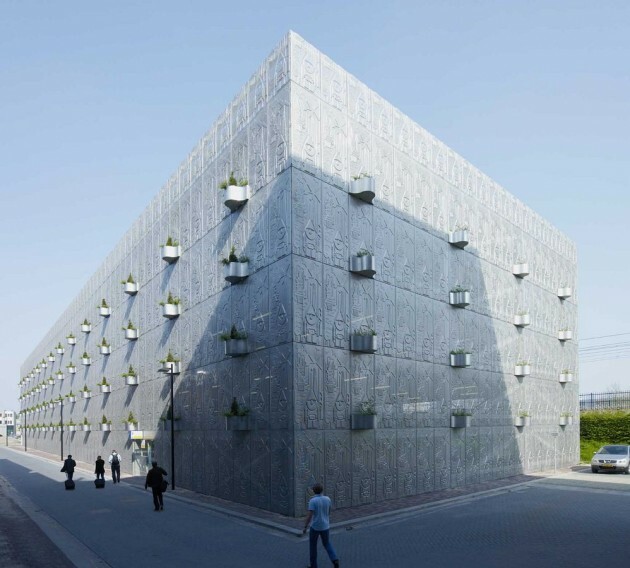 At the architectural level many experiments have been made on innovative materialization and new constructions, as also in Block 11. 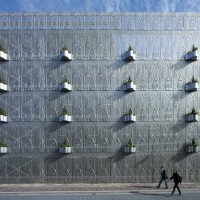 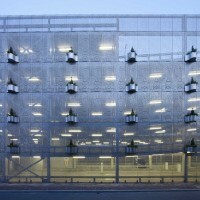 The unique facade of the garage contains natural elements, like integrated plant containers with specific plants related to the orientation of the facade. 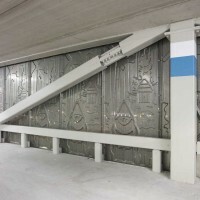 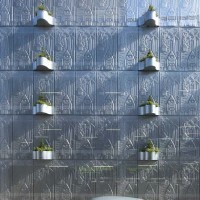 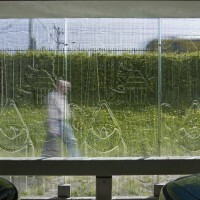 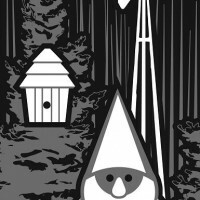 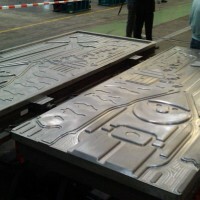 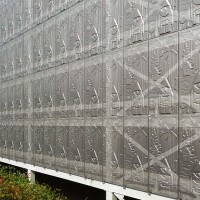 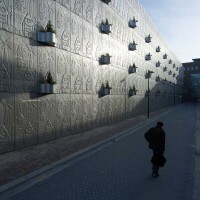 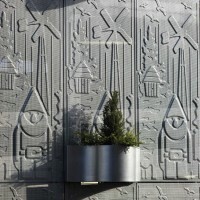 By using a stretch forming technique commonly utilized in the automotive industry the perforated facade panels show characteristic images of the province of Flevoland, like birds, windmills, garden gnomes and bird houses. 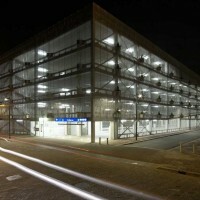 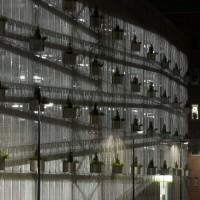 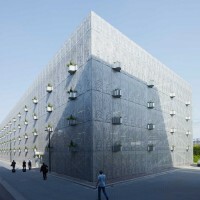 The perforation supplies natural ventilation in the parking garage and creates an open atmosphere, especially at night. 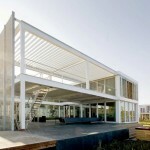 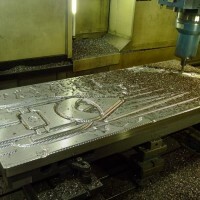 Visit the MEI Architecture website – here.